In the early years of his activity, Clarissa.it has hosted some medical articles, which have been among the most “popular” of our editorial history. In order to contribute to a correct use of information, we believe that today we must publish some excerpts of the authoritative appeal addressed by numerous associations of Italian homeopathic medicine in defense of this medical practice, in front of a Media campaign that has taken the tone of a real crusade against homeopathy, as if only some scientists can boast the monopoly of truth, which radically contradicts the Galilean principle of free science. Homeopathy is the first complementary medicine in Europe, it is widespread in the world in more than 80 countries. In Switzerland since May 2017 five complementary therapies including homeopathy are equated with other medical specialties and are reimbursed by the health insurance system. Eurispes ‘ Italy 2017 report reports that integrated medicine is used by about 12 million citizens and that homeopathy is the most popular among therapies. In 2013 data from the National Observatory on Women’s Health (ONDA), referring to a sample of 1000 women aged between 25 and 54, claimed that more than 70% had had a positive experience with homeopathy. ISTAT with the two studies “health protection and access to care” (July 2014) and “care and recourse to health services” (April 2015) reported that in Italy regularly use homeopathic drugs about 2 million and 452,000 people (about 4.1% of the population), Placing the Italians in third place in Europe after France and Germany. According to a survey of the Federation of Paediatricians (FIMP 2016) conducted on 5,400 paediatricians participating in the Federation, almost all affiliated with the National Health Service, 30% declare to resort to homeopathy; Of these, 36% do it daily. Many scientific researches, especially in the last decade, have investigated the mechanism of action of the homeopathic medicinal product and its efficacy in various clinical conditions. On PubMed, the main international medical-scientific database, there are today about 5700 articles on homeopathy. Iris Bell, professor emeritus of Family and Community medicine at the University of Arizona, recently published on the website of the American Institute of Homeopathy Homeopathy Research Evidence Base, which collects about 6000 evidences on homeopathy. Until the end of 2014 were published 189 RCT peer reviewed in homeopathy. Of these, 104 were against placebo in 61 different clinical conditions. Of these 104 RCTs, 43% had positive results, 56% non-conclusive and 5% negative (data on https://facultyofhomeopathy.org/research/). 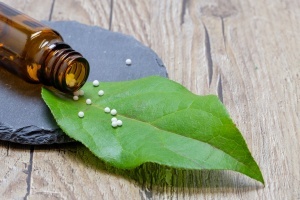 A report on the efficacy, cost-benefit and appropriateness of homeopathy of the Swiss Federal Office of Health, within the Complementary Medicine Evaluation Program (PEK), reported positive results for homeopathy in 29 studies Related to allergies and upper respiratory tract infections. You can read the full text of the appeal here.